Peter’s readers have received the gift of faith. But Peter lists seven further qualities which they must work to develop. Which of them is most important? Which should take priority? Ezekiel made God’s message plain by words and actions. But the Israelites could not hear or see. Why not? Because they had rebellious hearts. Christians make progress by God’s grace, God’s power, God’s promises. But does it come naturally and easily to us? Peter tells us that we cannot make progress unless we make every effort. Next year will see the 50th anniversary of the publication of a very significant document – the 1966 Strict Baptist Affirmation of Faith. 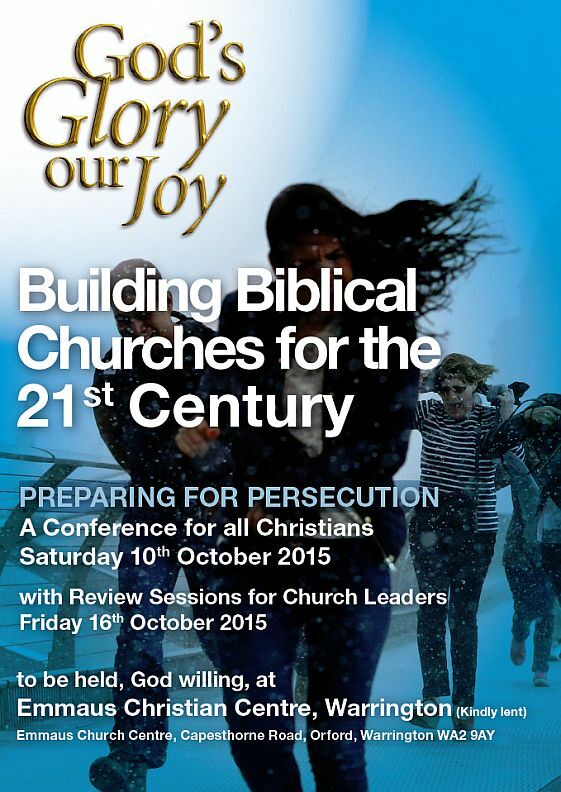 The conference sermons for 2015 are now available on the God’s Glory, our Joy website.